Bonillas Basic Curriculum Magnet School is our #TeamTUSD this week. 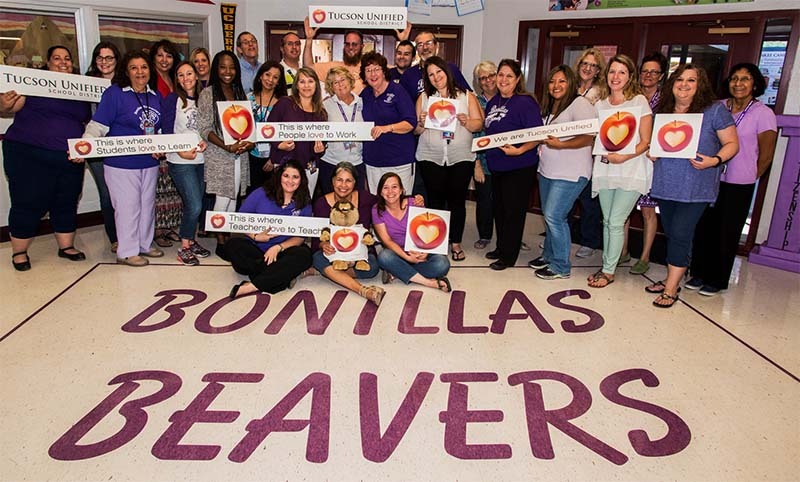 Bonillas is in its 34th year as a magnet school in Tucson Unified. "Our staff works hard every day to provide children with the tools necessary to be successful both academically and socially as they move toward being college- and career-ready. We have a very experienced and dedicated staff, which ensures consistency and high expectations for all of our students. The Bonillas staff is truly a family that works together to ensure that the whole Bonillas community is successful and a great place to be. Bonillas epitomizes the mantra of being the place in Tucson Unified where students love to learn, teachers love to teach, and people love to work." What a wonderful team we have at Bonillas!